Growing plants indoors is important throughout the year, whether you are a first time grower or seasoned professional. Maybe you have a small basement space and can't have access to growing plants in a garden. Or maybe you just want to give a head start on growing a plant that's rated for a different bloom time of year. Traditionally, there were few options for growing plants for seeding or leafing in cold or inclement weather. In this post, I'd like to talk about 3 different ways or products we sell at your local Home Depot store that can easily grow plants in the absence of natural sunlight. Be mindful that whatever plant you are growing, be it in seedling or mature form, must have adequate lighting per its own needs. For first time growers, always read the label of the plant after purchase or do a little internet research so the plant can grow its healthiest. 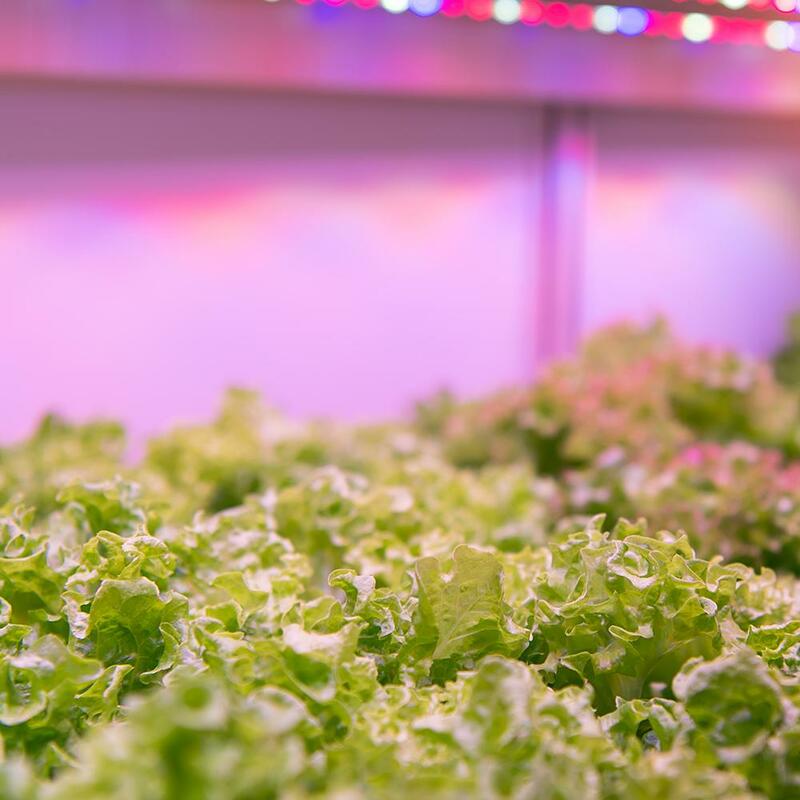 Before I introduce these choices in this post, I'd like to explain why using plant rated lighting systems are important for your plants to grow. Whether its source is natural light or not, any plant needs the correct amount of light in order for it to grow properly via photosynthesis. 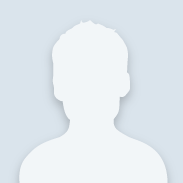 In terms of artificial lighting, you'll need to look for a lighting choice that has this. How do you know what is the correct item to use? That part is where it gets very simple, more than you know. Just look for a product that states on its packaging that it is rated for plants and clearly states it on the packaging. LED and CFL light bulbs that state they are natural daylight are usually NOT rated for growing plants. What is rated are products that not only clearly state they are, but the reasons why they are. Different plants, of course, have different requirements so always research your plants before purchasing any products. In this regard, there are light sources rated for blooming your existing mature plants, to budding new shoots. I really can't stress enough to know beforehand your plants light needs, regardless if you use an artificial light source or not. Failure to use (or misuse) the incorrect product can lead to unhealthy and slow growth for your plant, which could very well lead to its demise. With the right light source, this all can easily be prevented. Lets get started and talk about how to get your plants to grow via these options! 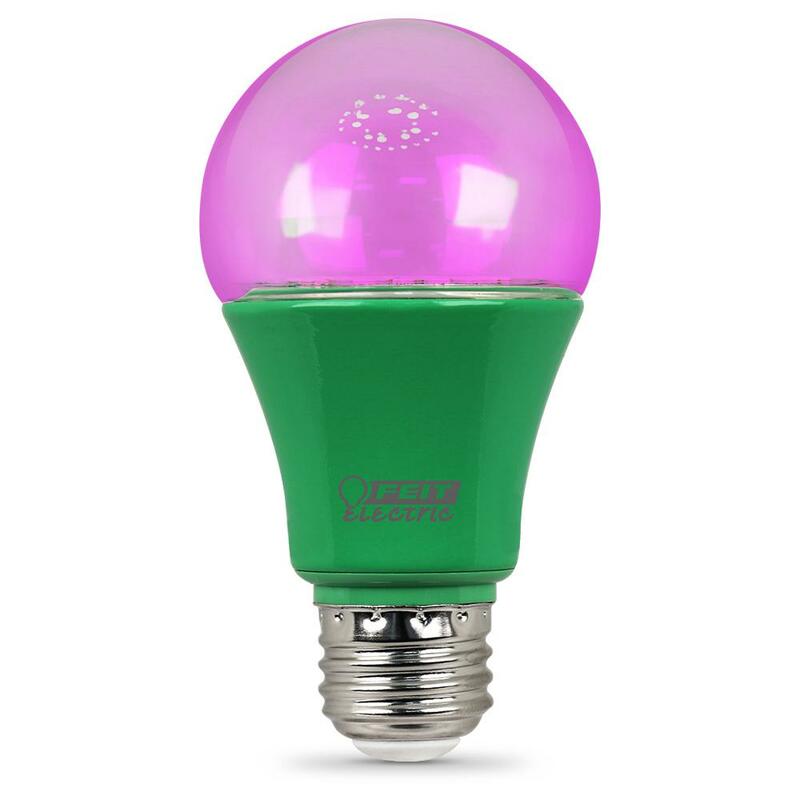 This little light bulb is an updated version of an existing incandescent version we've sold at our stores for years. What makes this a much better product is in it being a LED. Not only does that make it for energy efficient (and longer lasting), but also gives a wider spectrum of light for plant growth in red and blue (hence the purplish color it emits). 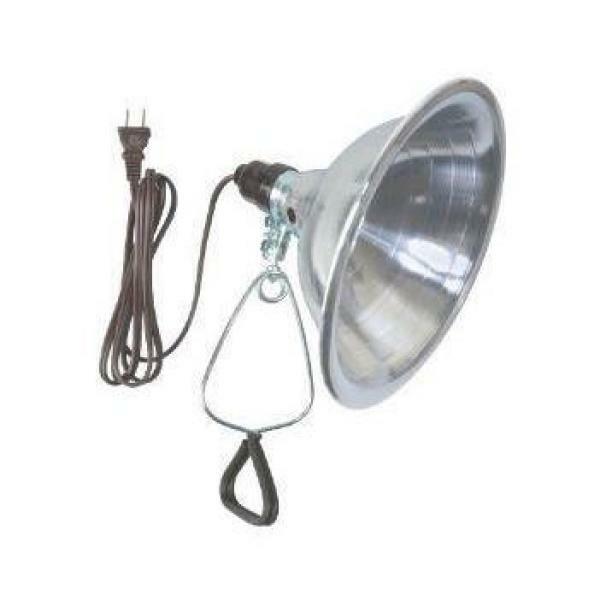 The most popular way customers use this light bulb is to use a clamp lamp, shown below and linked here. 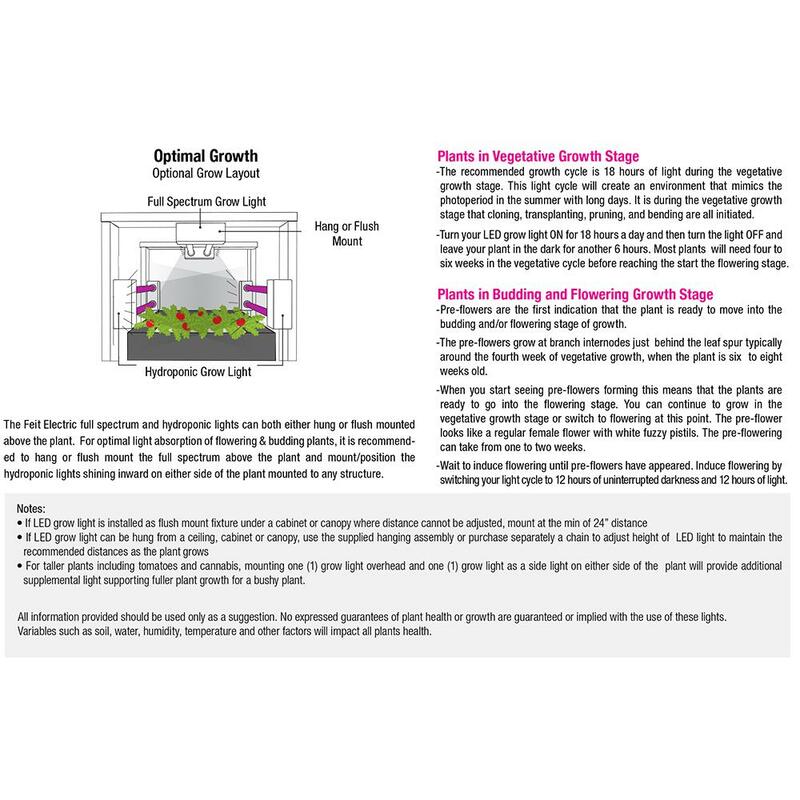 Depending on your plants need will determine how and where you can place the light for optimum growth. The reason I love this light bulb so much is the fact that it produces much less heat than its older incandescent version, which reduces burning of the plant. 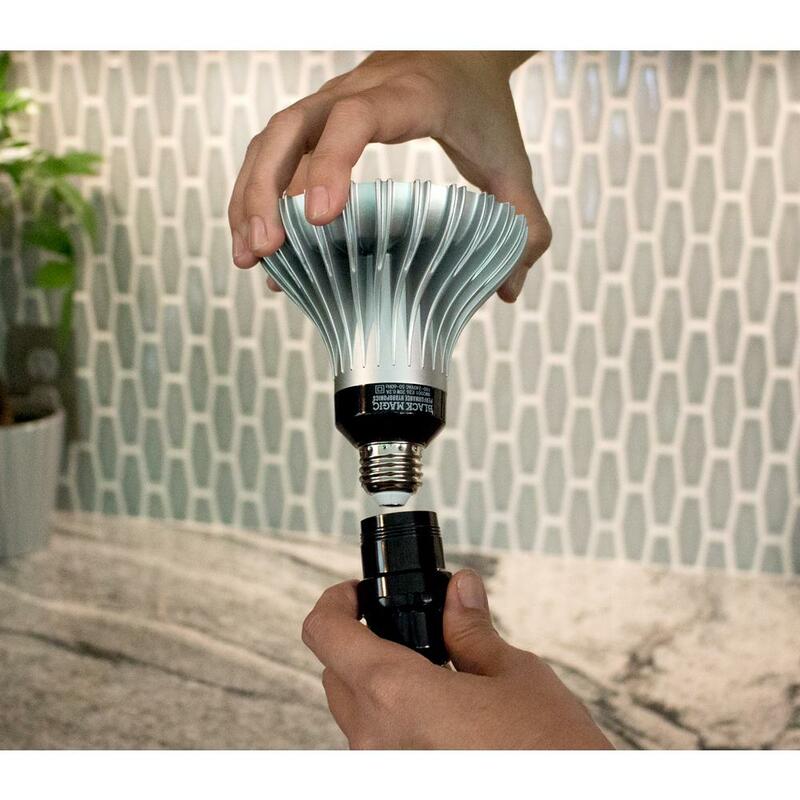 Your local Home Depot store as well as online has another larger version of this light bulb via the brand Black Magic. 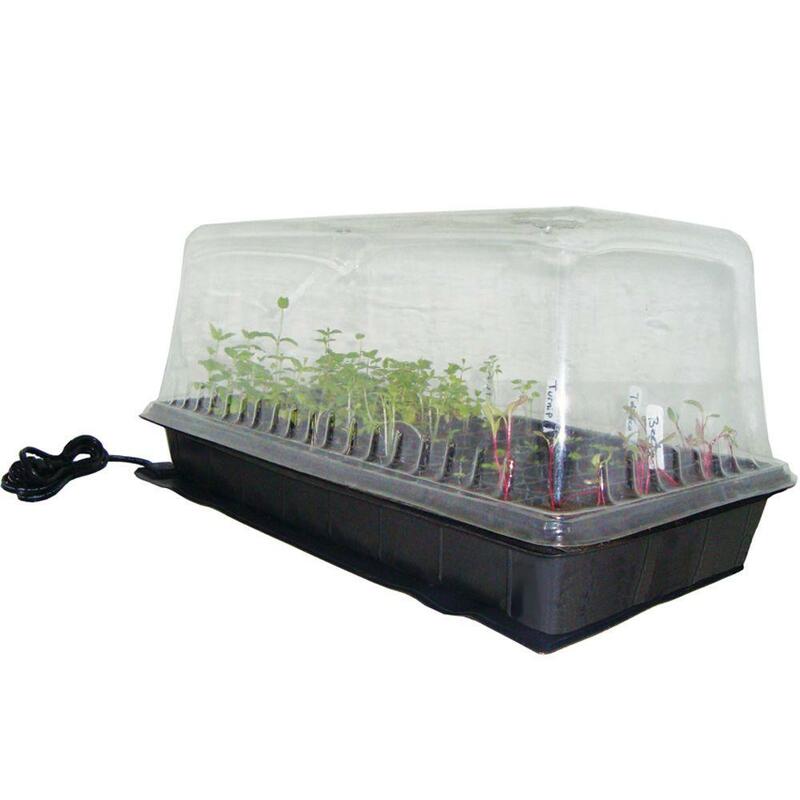 It works wonders for small house plants, and is shown below and linked here. While this option tends to be put into the older category like incandescent plant light bulbs, this fluorescent version is still a perennial favorite and still gets plant growth done correctly. 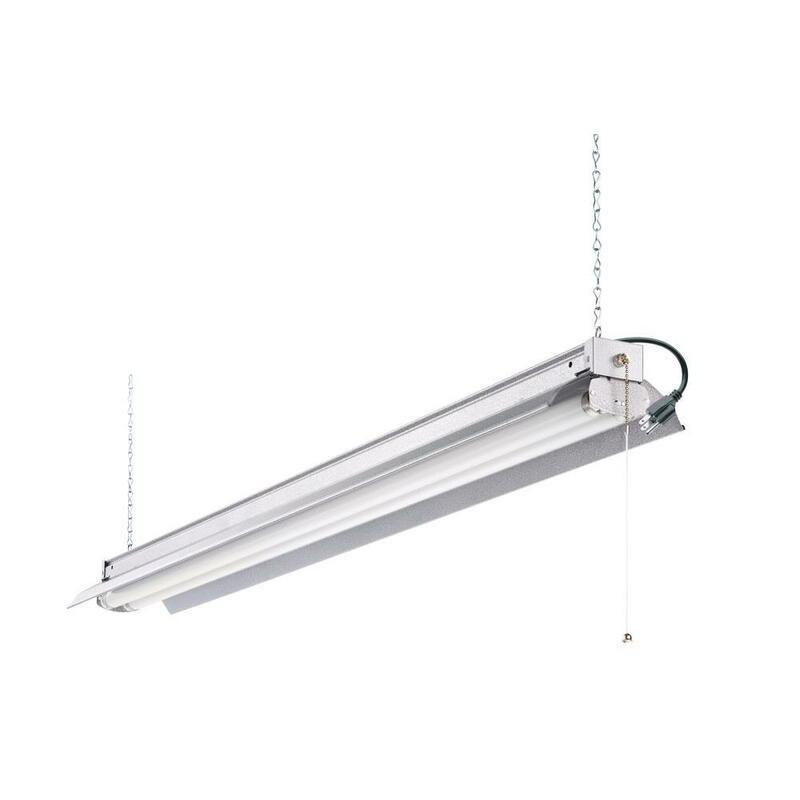 The main reason this is a popular choice for growing plants is the fact that the 4 foot version gives a much wider beam of light versus the previous choice shown here. Plus, you can easily place these in a plug-in shoplight to give yourself a large amount of light at a good price. Not only is this the newest product your local store and online carries, it's also the best option available. I saved this product for the last because I want to talk about how it is the most effective way to grow plants. 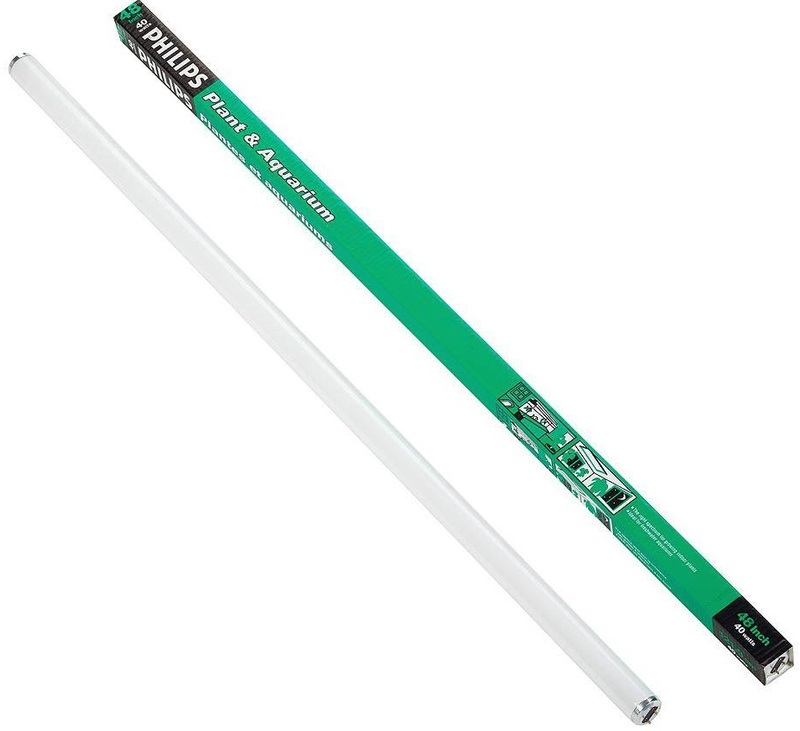 It has the LED efficiency but also with the larger size. Personally, I like that it mixes the blue and red light spectrum of light, which makes this ideal for fruiting plants as well as budding ones. 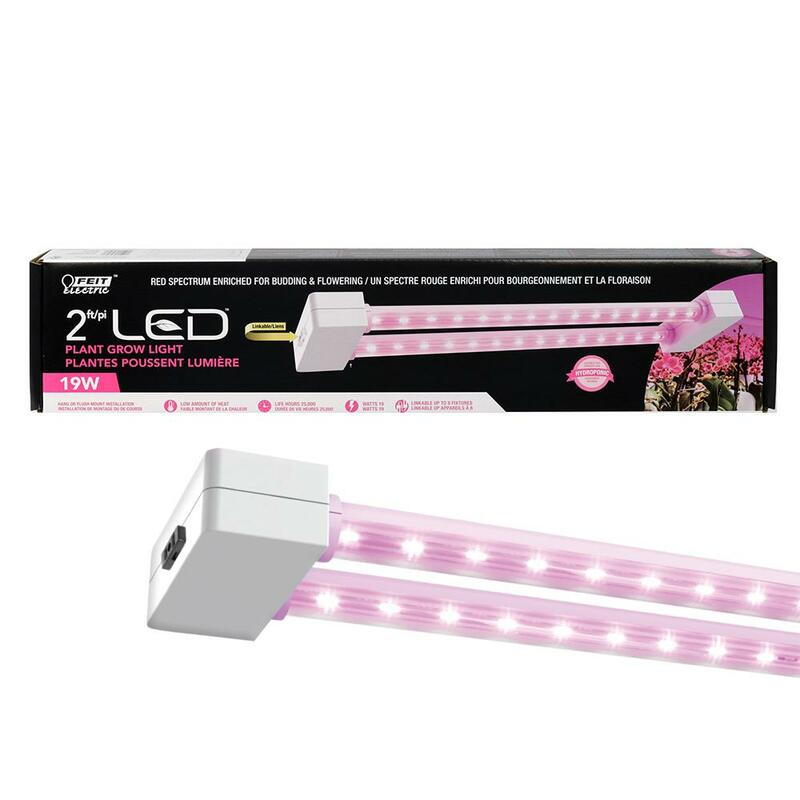 Full spectrum lighting like this product is one of the very best ways anyone can grow healthy plants without sunlight. This diagram below shows how and why this is the absolute option for growing plants indoors. No matter if you are giving light to small house plants or doing large hydroponic growing, this product works for any DIY or Pro. Since it's linkable, you can place many lights on a single circuit, be it in plug in or hard wired form. So there you have it, the 3 best ways we currently sell at the Home Depot to grow plants indoor without the benefit of sunlight. Not only will these products use little electricity to save you on your power bill, it also will save you money in the short and long run on maintenance costs. These options are great for growing the healthiest plants, but you can click here to view other choices The Home Depot carries online as well. Lastly, please let us know if you have any questions regarding growing plants via these methods! What a great post! 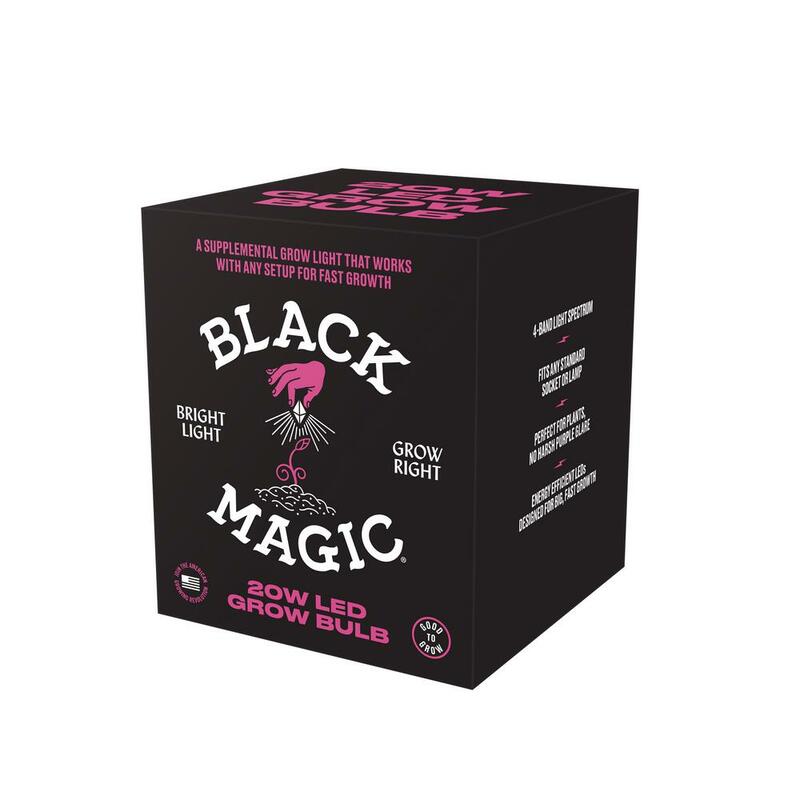 There are so many options for plant and grow bulbs now available on Home Depot.com, and in-store, thank you for “shedding some light” on all the different choices. Light is so important once seedlings have emerged but until then, heat, is key to get seeds growing, so I am going to tag onto your post with a heat mat suggestion for all who are starting plants from seeds. Heat is the number one factor that starts the propagation process, it is scientifically proven, the warmer the soil the faster the germination of seeds. Home Depot has many heat mats for sale on-line with an option available for sale in store; sizes vary so check out all the choices both in-store and on-line. Warm soil is what wakes plants up in nature, light is crucial for a plants growth and well-being so thank you Joseph for all of your light source suggestions!